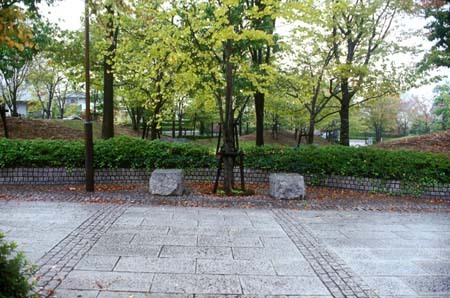 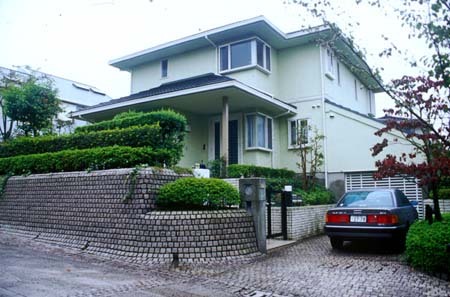 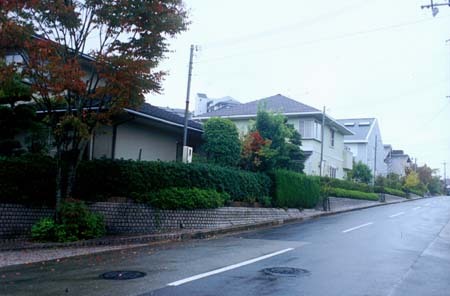 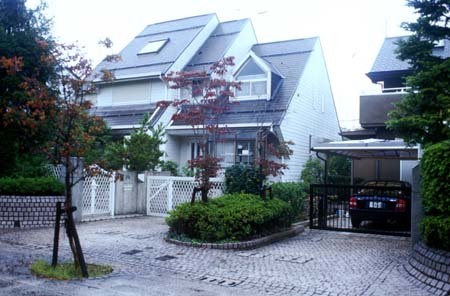 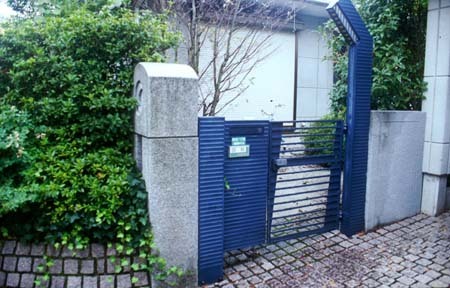 Arcadia 21 is a detached housing site which is located at Ashoigaoka, Sanda-city, Hyogo-ken, Japan. 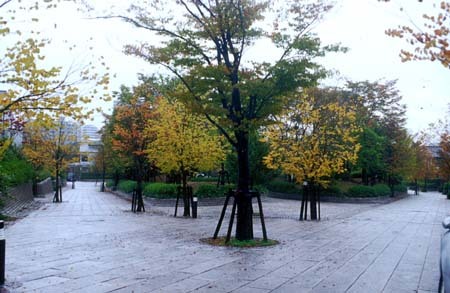 The site was developed at a triangular land of 13,627m2, with a gentle slope down to north, in 1988. 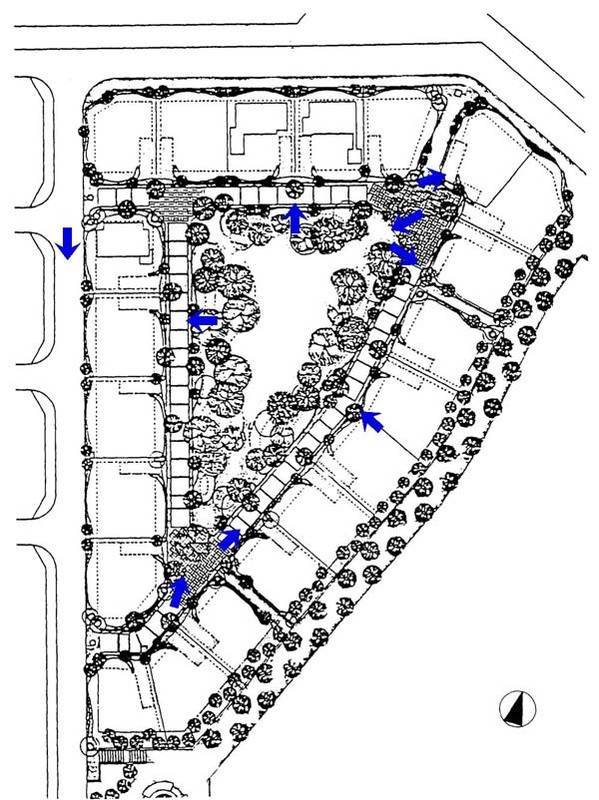 The site has 21 lots whose average area is about 410m2. 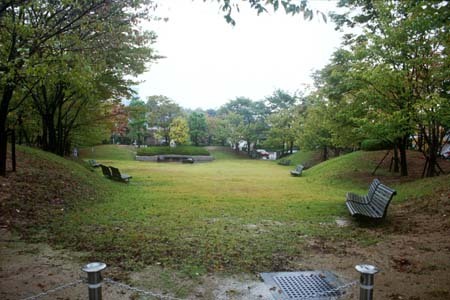 The houses enclose a central large open space, covered with grass. 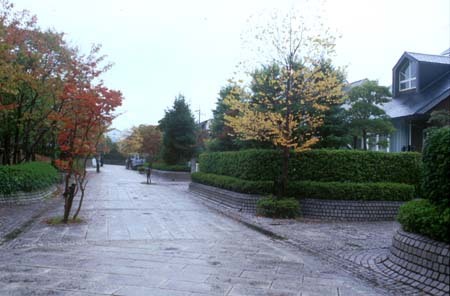 Roads and the parking lots and short fences of houses are surfaced with special granite, which results in the integration of communal and private domains. 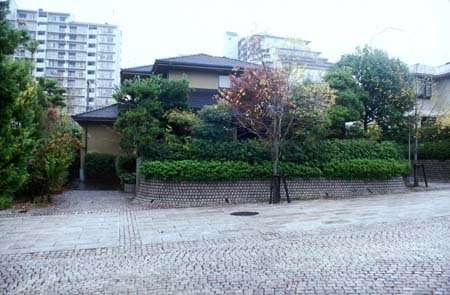 The floor areas of the houses are from 155 to 251m2.